The Reloop Mixon 4 is a high performance 4-channel hybrid DJ controller for djay PRO and Serato DJ. This multi platform controller is compatible with PC/Mac, iOS and Android devices. 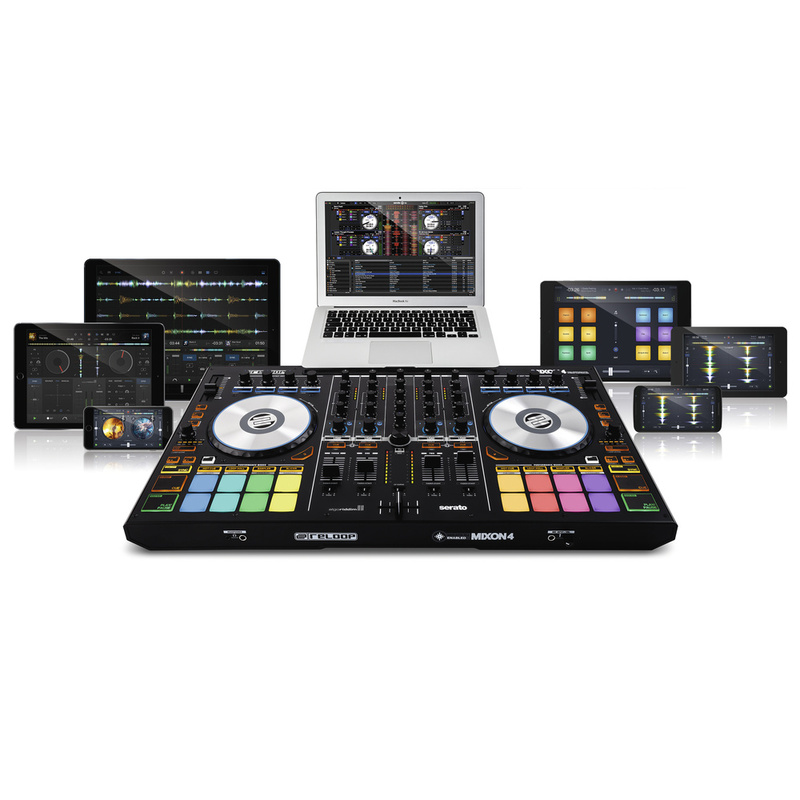 With Algoriddim djay PRO (iOS/MacOS), the music is at your fingertips thanks to its integration with popular streaming service Spotify*, giving you instant access to more than 30 million tracks in a powerful and award-winning app. As well as PC/Mac and Android compatibility via USB/OTG, MIXON 4 is able to connect iOS* devices with a Lightning connection, while simultaneously charging your device. For the first time it is possible to place an iPad PRO (12.9'') into the docking station and experience the raw performance on up to four decks. With the 16 RGB, velocity-sensitive drum pads you can trigger powerful modes as Hot Cue, Loop Roll, Sampler, Slicer, Flip* and Cue & Slicer Loop modes. Improve your finger drumming skills in the touch-sensitive Sampler mode, which determines the volume by how hard you trigger a pad. The multi-coloured, backlit LED pads give you instant feedback about the active mode and reflect the colour-coded cue points in the software. 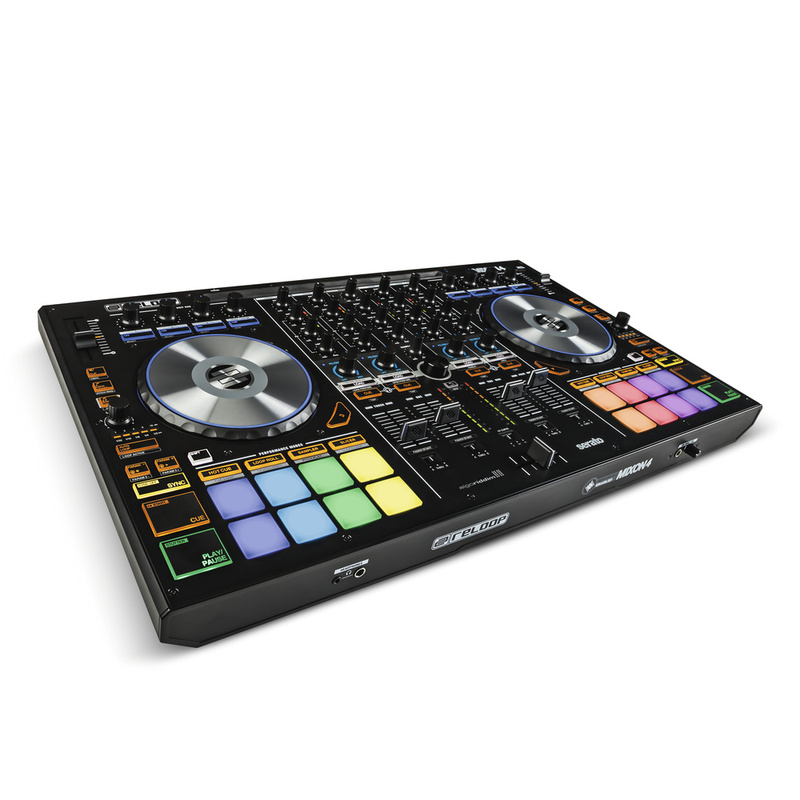 The all-new Pitch Play* mode allows for playful and creative live remixing of cue points at different tones and pitches. MIXON 4's large jog wheels have a touch-sensitive aluminum surface for tactile control, while the virtual needle illumination informs you about the playhead position and remaining track length. ***Note: A Spotify Premium subscription and an Internet connection is required to access the Spotify music catalog from djay. A 7 day FREE trial of Spotify Premium is available to all djay 2 / Pro users. 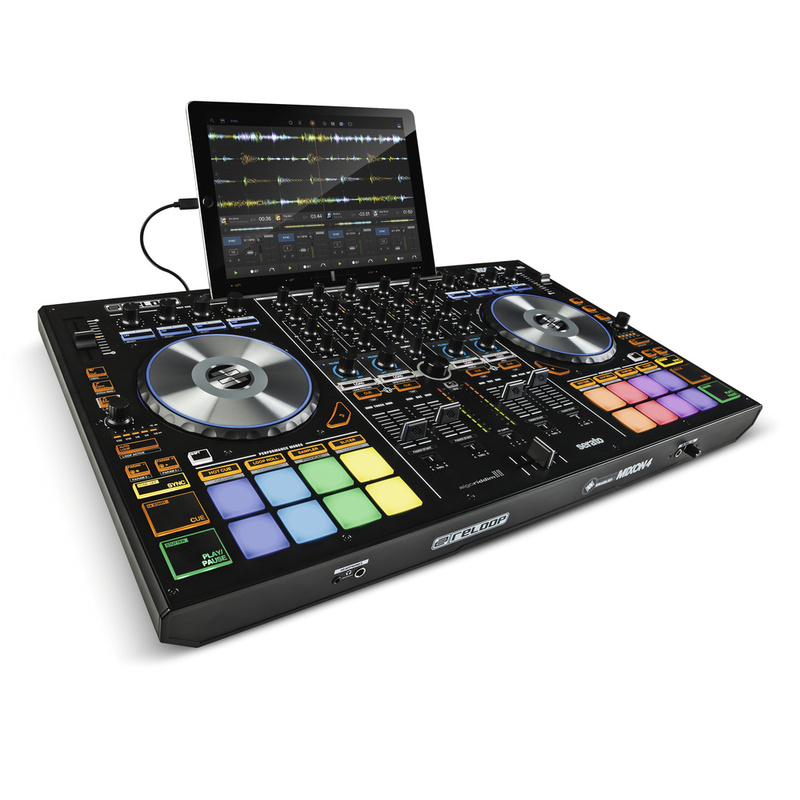 Really pleased with this purchase, use with dj jay pro via iPad and works really well with Spotify and iTunes. Good spacing between all function buttons and like the rubber push pads which light up well. The jog wheels are excellent. The unit is built to a good standard and has a metal top with sturdy plastic casing. For me the four channel mixer section was the highlight for this controller over others and for a brilliant price of £517. The channel faders feel great too. 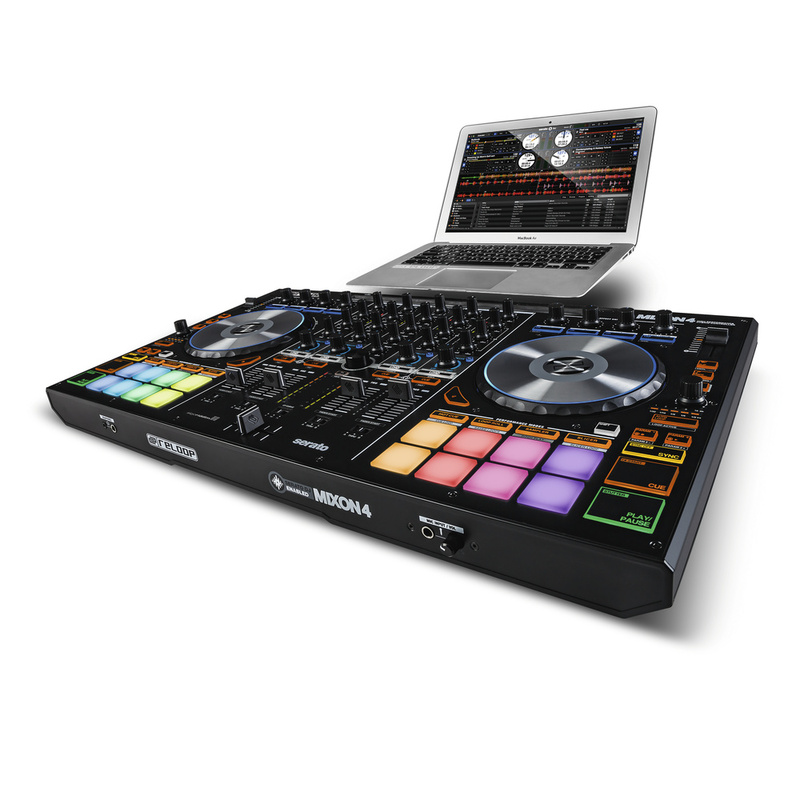 Would definitely recommend for anyone pursuing the iPad or Serato digital music route. Also the deck saver is a must to keep the unit clear of dust. 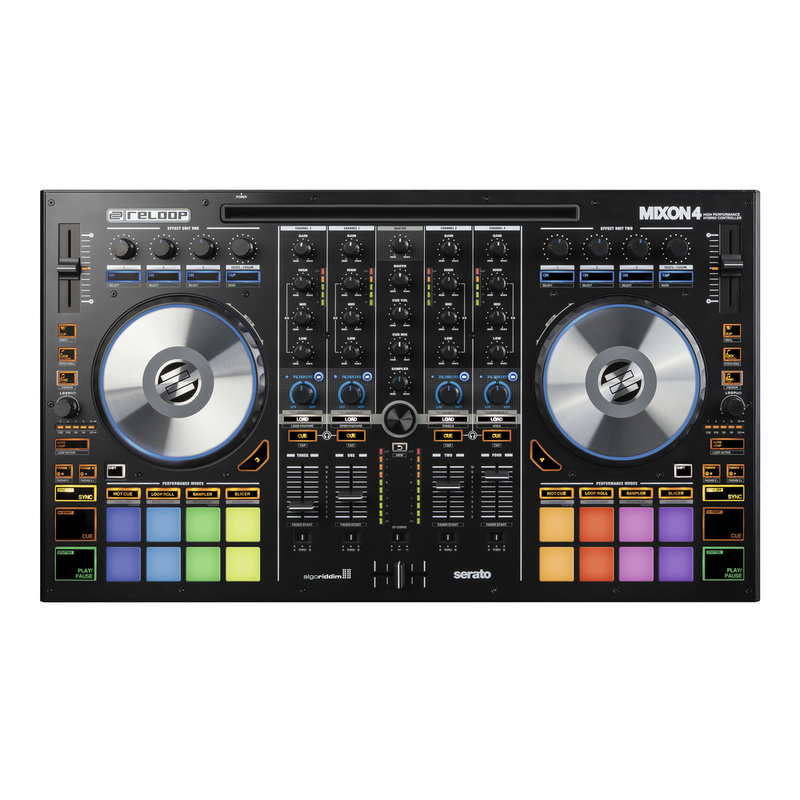 I bought this controller as an upgrade for an iDjay Pro and as a means to expand my DJ’ing from amateur level to professional. All I can say is this did the trick. Docked with an iPad Pro 12.9” this is one formidable unit. No latency that I’ve found so far and all the controls are intuitive and easy to pick up. The 16 beat pads at the front are well lit and well situated and all of the knobs are well weighted and as they should be. I’d rather they had a rubber feel to them instead of plastic but this a £600 controller and you can forgive Reloop for that. 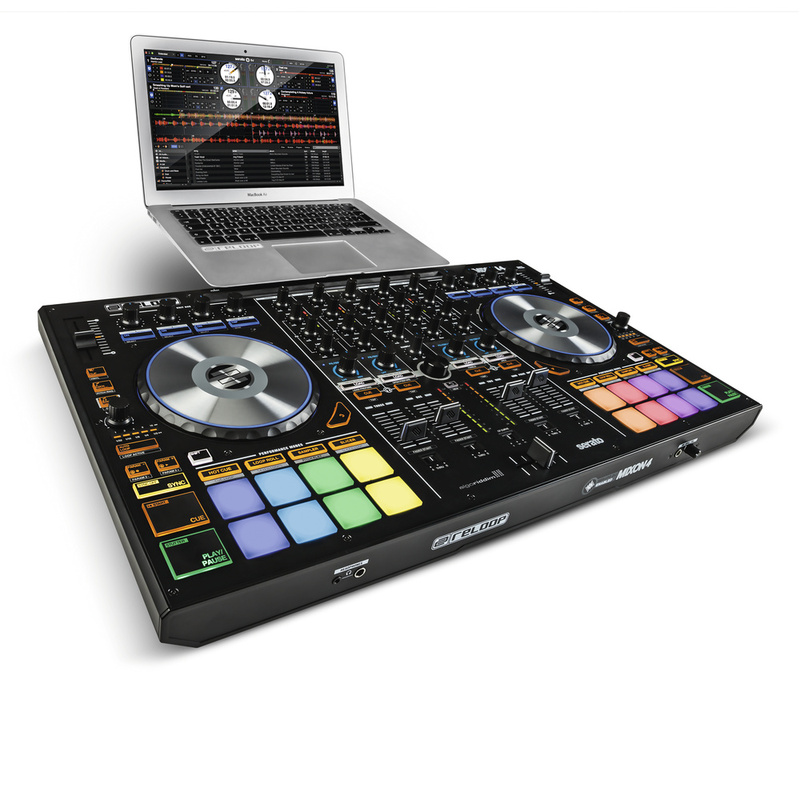 I haven’t tried this with Serato yet as I’ve been a big Djay supporter and to be honest this works flawlessly with Djay Pro and I use Spotify for most of my gigs and its a no-brainier to stick with that. 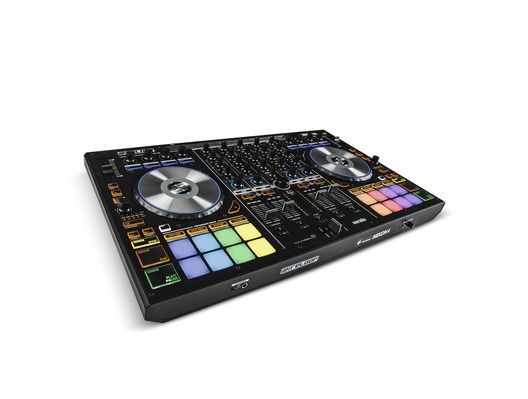 Waveform view is easy on the eye even with 4 decks running and I’m not phased by the size of the pitch faders which appears to be the only real grip in other reviews. Overall I’m over the moon and would highly recommend this as a CONTROLLER ONLY. I’m sure you’ve read the other reviews regarding the lack of aux input but I didn’t need one so am not bothered.